Subway has debuted a new take on the iconic "$5 footlong" — the $4.99 footlong. Starting in January, five popular Subway sandwiches are $4.99. Some Subway franchisees protested the deal. Subway's store count dropped by more than 900 and national sales declined in the US in 2017, people with knowledge of the situation told Business Insider. Subway has brought back the $5 footlong two years after officially retiring the popular deal. On Monday, the sandwich chain announced it would sell five of its popular classic sandwiches for $4.99. The Veggie Delite, Spicy Italian, Black Forest Ham, Meatball Marinara, and Cold Cut Combo sandwiches are all included in the deal. The decision to bring back the $5 footlong is a controversial one — and comes at a critical point for Subway. Roughly 400 franchisees signed a petition protesting the chain's plan to bring back the $5 footlong deal, the New York Post reported in December. Responses to the return of the footlong deal were mixed among the more than a dozen current and former franchisees who spoke with Business Insider (many on the condition of anonymity, as franchisees are not allowed to talk to the media). "I don't understand the backlash," one franchisee said. "For one, the promotion only includes five of our footlongs. All of these sandwiches have controlled formulas [as opposed to customers creating their own combinations] ... This will enable franchisees to have better control over food cost." Other franchisees indicated that concern over this specific deal was less pressing than Subway's ongoing discount strategy and other problems at the chain. "We are upset about doing the $4.99 footlongs, but them doing a coupon drop for three straight months is more upsetting than that," another franchisee said, referring to Subway's late 2017 promotion strategy. "We believe that the problems are really at headquarters." Franchisees and Subway employees expressed concerns over the chain's ability to keep up with trends and serve fresh produce. Others said that the most pressing issue — which had led to hundreds of closures — was that Subway had opened too many locations, with nearby stores cannibalizing each others' sales. Of course, not every franchisee is unhappy with their situation. Some franchisees told Business Insider that they believe the store closures to be a natural part of Subway's maturation and said that they hope the return of the $5 footlong could be a key opportunity to grow traffic at the chain after years of decline. 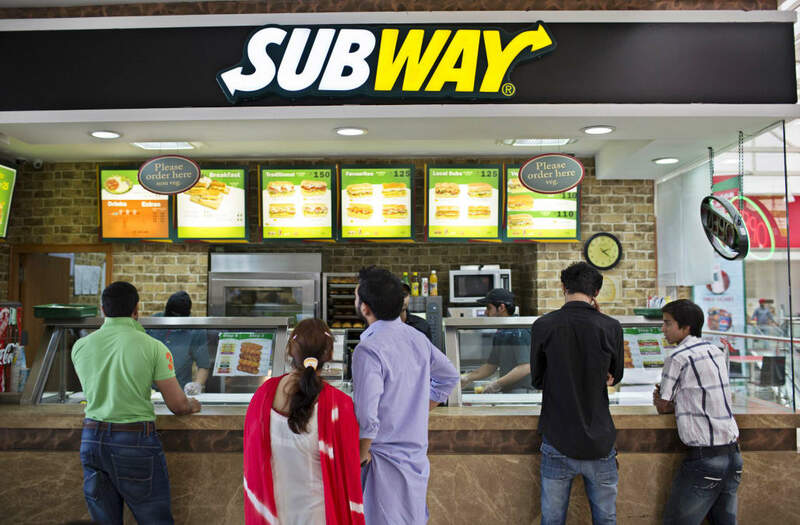 "We have support from the majority of franchisees on this program and many others we are testing," Subway said in a statement in December, when reports emerged of franchisees' backlash against the upcoming deal. "However, we typically do have a number of restaurants that don't participate in our national promotions. It is always optional."